Iraq Britain Business Council held a reception for IBBC members and guests on 12 December at the Reform Club in London. 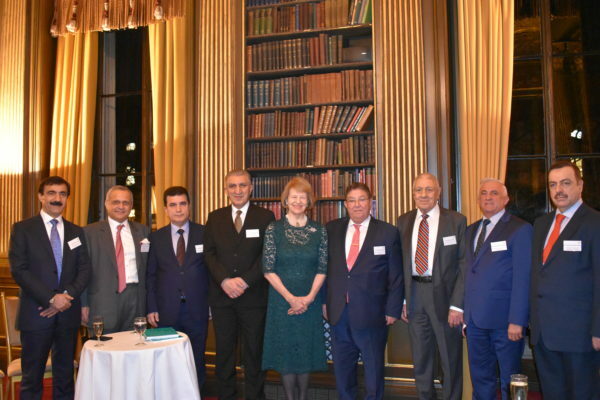 Baroness Nicholson of Winterbourne, President of IBBC and The Prime Minister’s Trade Envoy to Iraq, Azerbaijan, Turkmenistan & Kazakhstan and IBBC staff welcomed guests to the event. 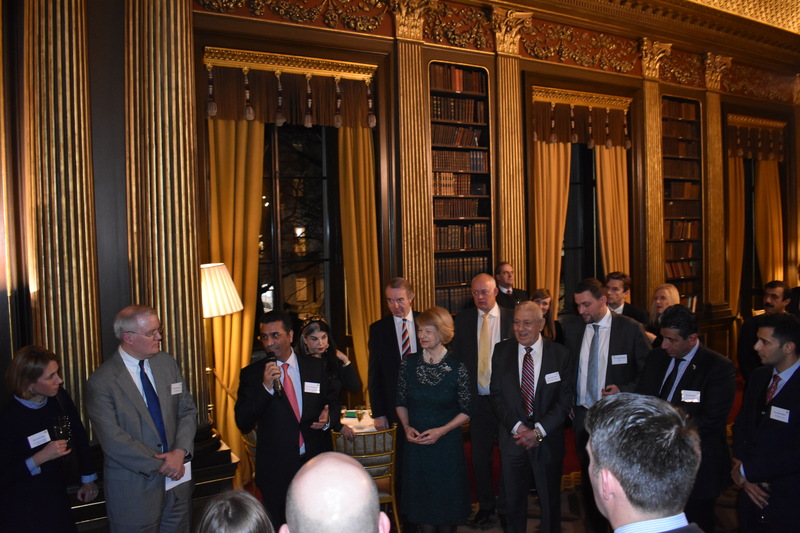 The event marked an end to a productive year for IBBC members and staff, with numerous successful events held in the UK, Iraq and the UAE. The IBBC would like to thank its members and supporters for a notable year in supporting the growth of Iraq’s economy and development over the course of 2019. 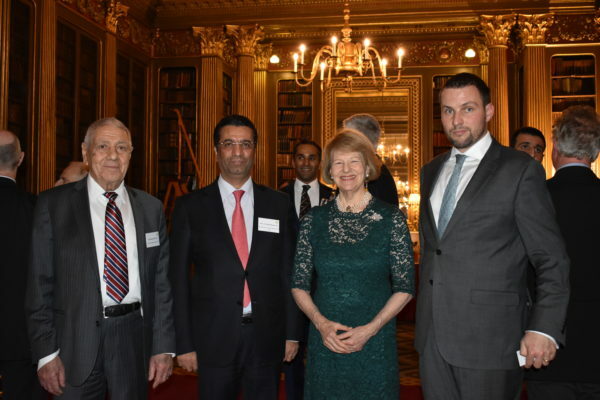 IBBC was delighted to welcome several notable guests, including the Iraqi Ambassador to the UK H.E. Dr Salih Husain Ali and Professor Toby Dodge the Iraq Research Director for the DFID-funded Conflict Research Programme (CRP). IBBC also welcomed representatives from the Foreign & Commonwealth Office, the Department of International Trade, the Bishop of Derby, the Conservative Middle East Council, as well as many more guests from distinguished organisations. Many member representatives were present including from Al Burhan Group, Bath Spa University, Constellis, Erbil Chambers of Commerce, Eversheds, G4S, GardaWorld, GE, HWH & Associates, International Islamic Bank, Mosul University, Mott MacDonald, Pell Frischmann, Perkins+Will, Petrofac, PwC, Rolls-Royce, Severn Glocon Group, SKA International Group, Turnkey, University Leicester, University of Northampton and Zaha Hadid Architects.